Nick Alexander, 36, of Colchester, England, was killed during the ISIS terror attack at the Batalcan in Paris on Friday, Nov. 13, 2015. PARIS -- A crew member for a Southern California band was killed in the terrorist attack in Paris on Friday. 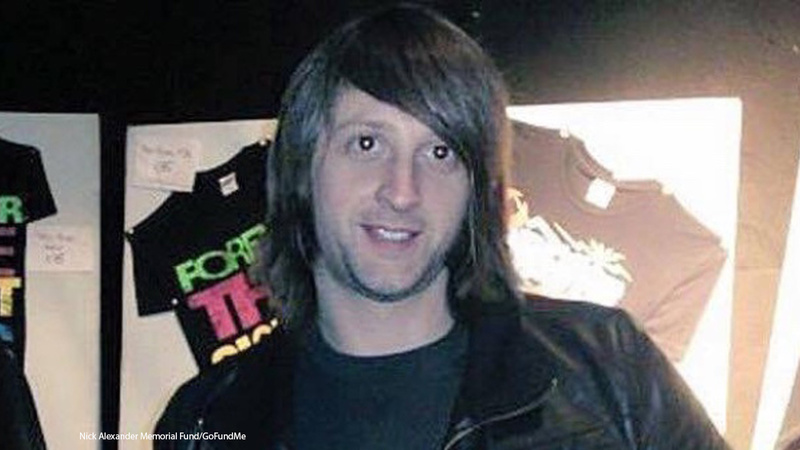 Nick Alexander, 36, of Colchester, England, was working the merchandise table for the Eagles of Death Metal when the group performed at the Bataclan. The California-based band has been an underground favorite for rock fans for many years now. The band was in the middle of its set when gunmen entered through several entrances and killed dozens of people and took many hostages. "Nick was not just our brother, son and uncle, he was everyone's best friend - generous, funny and fiercely loyal," his family said in a statement. "Nick died doing the job he loved and we take great comfort in knowing how much he was cherished by his friends around the world." The band members all made it out of the theater safely by escaping out a backstage door. When the music industry learned of Alexander's death, there was an outpouring of support for the seasoned merchandise worker. Joe Trohman, the guitarist for Fall Out Boy, referred to Alexander as a "great guy" and said he was "horrified" when he heard the news. Patrick Carney, the drummer for The Black Keys, said Alexander had toured with the band several times in Europe. "He was one of the sweetest most pleasant guys to be around. Sending my love to everyone who knew him and especially his family," Carney posted to Instagram. 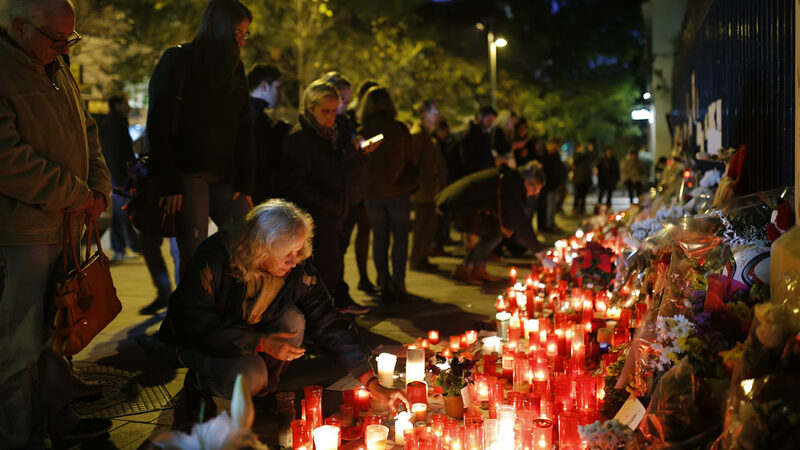 ISIS has claimed responsibility for the terrorist attack that killed more than 120 people. French President Francois Hollande vowed to fight the extremist group following the attack. A friend of Alexander has set up a GoFundMe account to raise money for his family. You can learn more here. Click here for full coverage on the Paris terror attacks. Photos from Paris, France and around the world as people mourning the loss of dozens in multiple terror attacks.